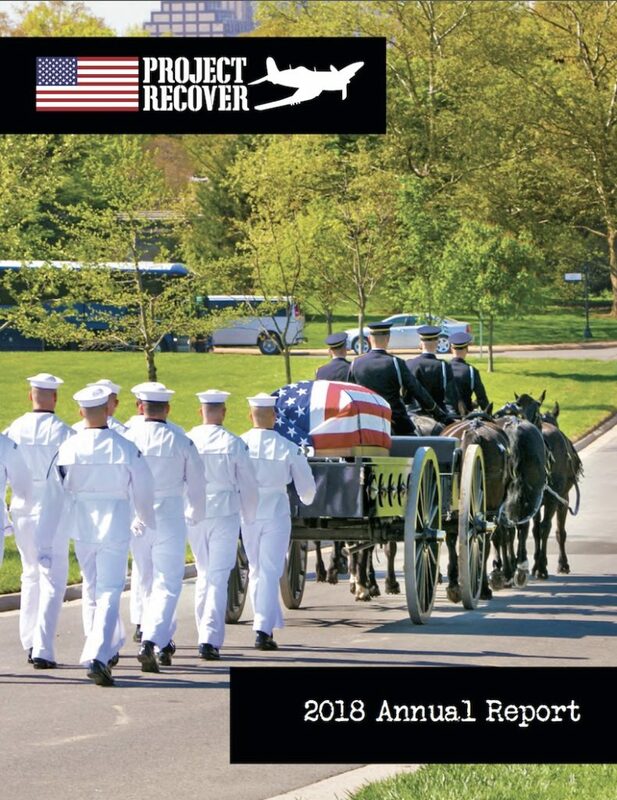 Project Recover’s 2018 Annual Report summarizes our global efforts to bring Missing In Action (MIA) American service members home. We are honored to have worked on 26 cases associated with 104 MIAs and 22 POWs. Our work spanned eight countries in the Pacific and European theaters and in the Persian Gulf. 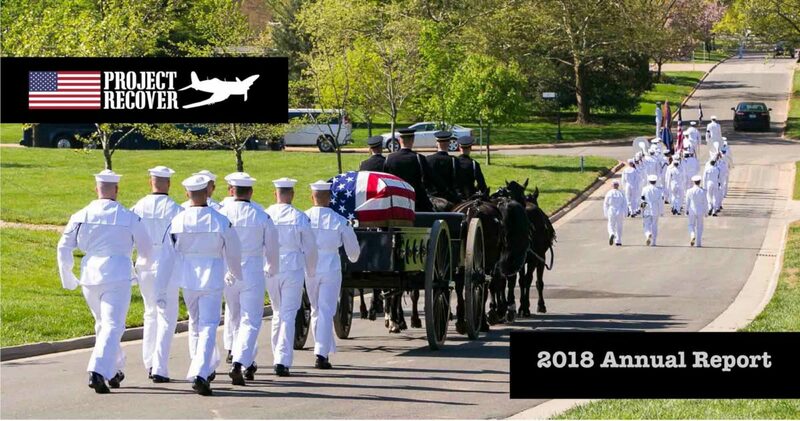 We assisted in accounting for four World War II MIAs in 2018 and were honored to attend the funeral of three of them, at the invitation of the families. Project Recover located the stern of the USS Abner Read associated with 70 MIAs in July 2018. We also announced the discovery of the B-24 Heaven Can Wait in Hansa Bay near Papua, New Guinea, in May 2018 and attended the ‘family reunion’ of its crews’ relatives in October. The Annual Report is a year-in-review including photos and details of our efforts over the last year to bring our MIA servicemen home. It includes information about the science and technology involved in our search for MIAs, as well as the case file management system required to track 510 MIA cases representing over 2,200 individuals missing in action across 50 countries. Read the complete 2018 Annual Report here.